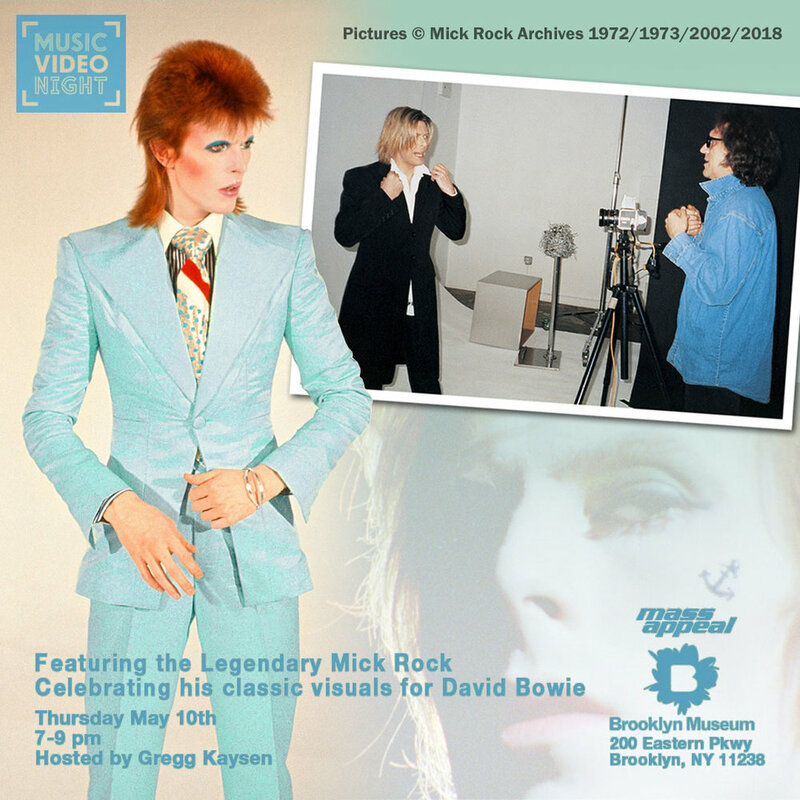 If you’re within screaming distance of David Bowie Is at Brooklyn Museum this evening, why not pop along for a rare screening and discussion with photographer and director, yer actual living and breathing...Mick Rock. See the music videos he created for David Bowie in a presentation hosted by Mass Appeal Music Video Night’s Gregg Kaysen. This intimate showcase delves into the stories, inspiration, and production behind classics such as John, I’m Only Dancing, The Jean Genie, Space Oddity and the iconic Life On Mars?.